Although we’re usually cider lovers, the beer stole the show in Falmouth. 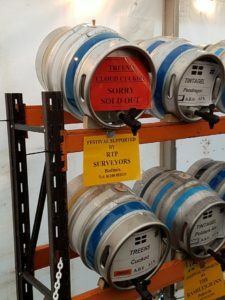 The Cloud Cuckoo beer from Treen Brewery was our favourite – the big sister of Cuckoo, which won a silver medal at the festival. Cloud Cuckoo was also the first beer to sell out – backing the winning beers at festivals seems to be our thing! 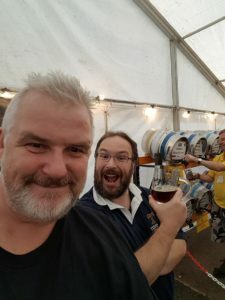 Simon met Simon Treen, the Head Brewer at Treen Brewery, who only started brewing in January this year. Brewing beers that become hits within months of setting up deserves respect in our books! An Exciting New Project with Cartoonfun Project Management: Are You Asking the Right Questions?